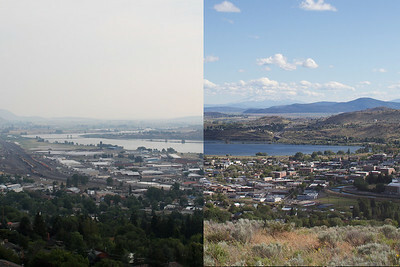 Smoke settles into the Klamath Basin on July 29, left, making for a clear difference from a clear day on June 16. Cpl. Daren Krag patrols Crescent Lake. 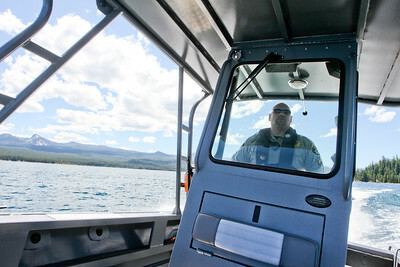 The marine patrol will rotate which lakes they patrol to keep visitors guessing. Cpl. 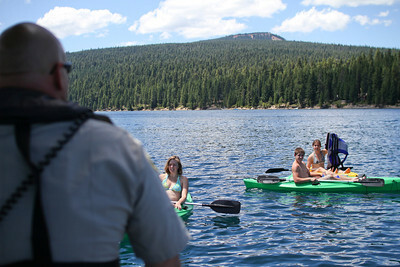 Daren Krag checks on a group on kayaks to see if they have life jackets. 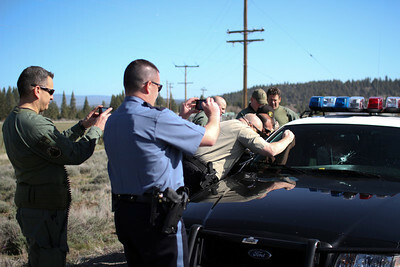 After clearing the scene, officers check out the hole left by a bullet fired a Klamath County Sheriff's deputy Friday morning in Sprague River. 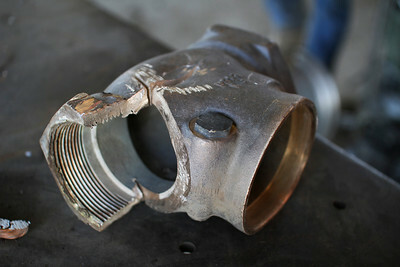 A brass connector was sawed off, likely illegally. Denny Roberts volunteers as the Klamath County Fire District No. 1 chaplain. 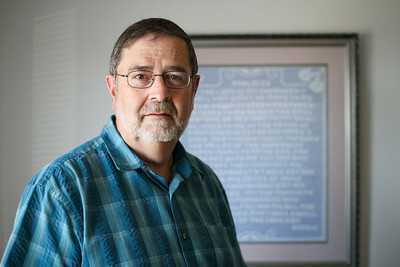 He counsels and helps emergency personell and victims with trauma. 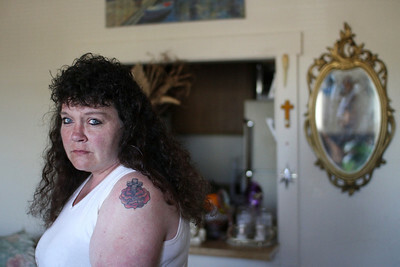 Cheryl Perez has spent the last few years dealing with her methamphetamine addicted son. 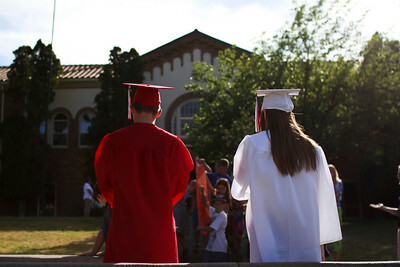 She hopes that by telling her story she can let her community know that families dealing with the stress of addiction are not alone. 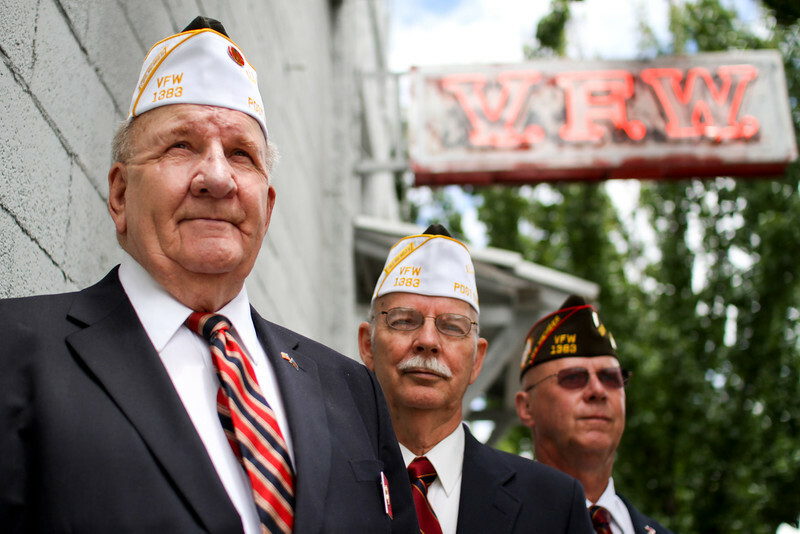 Joe Collins, left, stands with Duane Whitehead and Ron Ballard outside the Veterans of Foreign Wars Post 1383 hall. Collins was awarded the title of Oregon Mr. VFW for his decades of work with the organization. 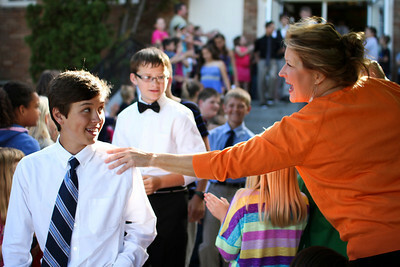 Holly Stork, a Roosevelt Elementary school mother and member of the 100 Percent Graduation committee, gets the attention of Andrew Reynolds, 12, during a send off for Roosevelt sixth graders. Reynolds is Stork's neighbor. 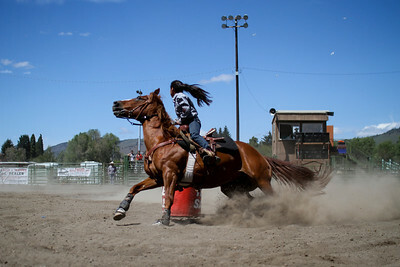 A barrel race participant rounds a goal during the All Indian Rodeo on Saturday. 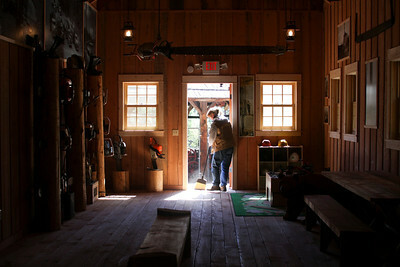 Debi Westphal sweeps inside the Logging Museum cookhouse, a new exhibit at the Collier State Park attraction. 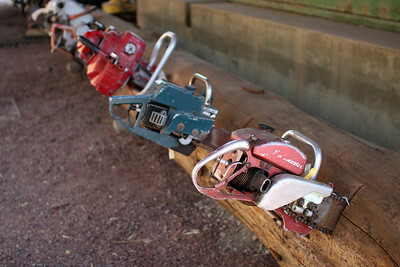 Generations of chainsaws sit embedded in a log at the Logging Museum at Collier State Park. 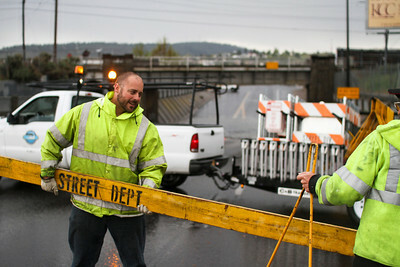 Klamath Falls City Street Department worker Brandon Dierick helps put up a barrier on Main St. near Michigan Ave. after rainfall flooded the underpass.